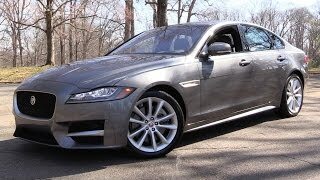 Jaguar officially announced that it will be unveiling the Jaguar XF 2016 at the New York Auto Show next month.The 2016 XF is lighter and more efficient (70mpg) than its predecessor; and carries same if not better dynamics and design. On the interior, the new XF will showcase an all-new 10.2-inch infotainment system as well as 12.3-inch TFT instrument cluster. Jaguar has been known since years for its world class quality. Though there have been few times that they faced kind of instability but the impeccable stand and battle with its competitors still keep its name in the list of top car makers. 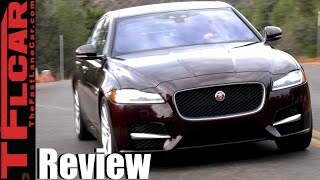 This time with the release of Jaguar XF 2016, it looks the company has tried putting all on features and specs on same scale, ‘PERFECTION’. Let that than be the performance, exterior or interior. Company has also introduced two different engine models in other states, 2.0 turbocharged and 3.0 turbo diesel V6. However the same above story goes with the 2.0 turbo, 3.0 Supercharged V6. 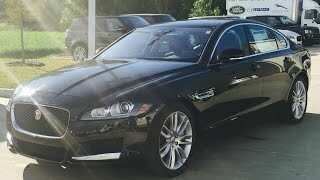 The entry diesel, precisely the first one is formed to be the only Jaguar XF with Six speed manual transmission while the rest model engines comes with eight speed automatic. In an interview the higher official from company shared that with these the company is looking for young buyers and are aspired to XF being a luxury package. Here we do have a question as to what about the speed which youngsters usually look for? Being loyal enough Jaguar apart from the speed thing, in a very well manner managed the way it offers other facilities. Like for this one the company comes up with the first in kind Ethernet connectivity paired with Incontrol touch pro infotainment option. The feature indeed is one of the most advanced integrated in model as it allows the driver to surf navigation while the fellow passenger entertains himself by watching a TV or DVD. We believe the first point knocking your heads is the enormous data to be handled. Well for this the InControl Touch Pro features Quad core processor and solid-state drive, which runs on lightning fast Ethernet. For this feature in particular after going through its incredible graphics and swift response, it is state-of-the-art addition and Jaguar deserves accolades for this one. Though as of now there isn’t much into the specification section of this car, still on a briefer note, we have here listed a few key points. 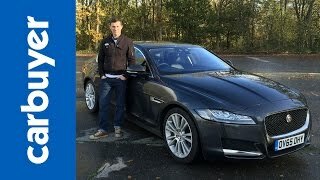 We are sure that the specifications mentioned above makes a clear view to the technical aspects of the new Jaguar XF 2016. We do believe that by the time model knocks the buyers doors, company will bring up more information. But as speculated apart from the above mentioned key points there won’t be much of change into the traditional Jaguar Sedan pattern.